The BML series from Balluff offers rugged, precise and quick absolute position and angle measurement systems, suitable for installation or direct integration into drive and positioning systems. The new, magnetically encoded absolute position and angle measurement systems with Permagnet nonius technology close a gap in the segment of compact, integrative, absolute measurement systems with IP 67 housing for external installation. As an open kit for full integration, they now have the option of being used in rotary applications as well. Using these systems, the formats, strokes and end positions of axes can be adjusted automatically, quickly and reliably. 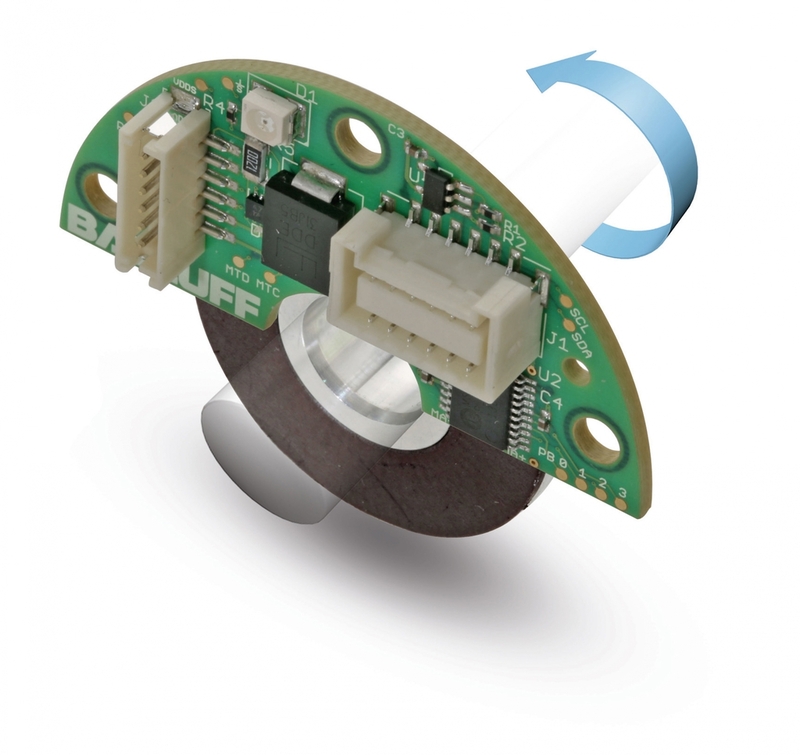 The new absolute encoder disk can be integrated easily into motors and actuators as a highly precise, absolute feedback solution. Because of this, it is an efficient alternative to conventional magnetic or optical solutions for accurate control of motors and drives. The low space requirement for the solution for rotary applications provides another eye-catching quality; it is just 12-20mm in length and 30mm in diameter depending on the design. A fully integrated, single–chip solution is the core of the magnetic scanning and signal generation process. The position data is generated in real time and made available in absolute form using interfaces typical in drive engineering, SSI or bidirectional BiSS C. Incremental SIN/COS analog signals and ABZ signals are also on hand for use. The evaluation kit from Balluff is also brand new to the portfolio. It includes a perpendicularly magnetized Permagnet absolute angle measurement system with high system accuracy. Just like the encoder kit, it offers a variety of serial (absolute) and incremental interfaces for connection to many different closed-loop systems. It is easy to use. Once adapted to the drive, the user can run required system tests to derive a customized, optimised solution using the BiSS-USB adapter and provided evaluation software.